After another busy day on the hardwood, a number of key bracket-related storylines emerged heading into Saturday, where 14 automatic bids will be handed out. – On the one line, Kansas leap-frogged Xavier for the one seed in the Midwest by virtue of KU’s win over Kansas State and Xavier’s overtime loss to Providence. Duke is out of the running for a top seed, but North Carolina could potentially sneak onto the one line with a win in the ACC Championship against Virginia. – Providence and Alabama followed up key wins on Thursday by knocking off Xavier and Auburn, respectively. Those victories cemented a spot in the field for both clubs. – Nevada got boat-raced by San Diego State in the Mountain West Tournament, which means there will be one less at-large bid available. The Wolf Pack were in either way, but now SDSU or New Mexico will also be dancing. – USC smashed Oregon to advance to the Pac-12 tournament title game against Arizona. The Trojans still don’t have a win over an at-large lock, but they can remove all doubt by earning the auto-bid. Over the next day, I will continue to review where teams are currently seeded. Championship Week is awesome from a basketball standpoint, but it doesn’t allow as much time to step back and take a fresh look at how teams stack up. Here’s a quick reminder of how the selection committee is classifying wins this season. The projections below are based on all games played through March 9, 2018. Following the bracket, I included a few thoughts on the last four in and other seven teams I still have in contention. 9) Creighton 9) Kansas St.
13) Vermont 13) South Dakota St.
12) New Mexico St. 12) Murray St.
4) Arizona 4) Wichita St.
13) Louisiana 13) San Diego St.
15) Iona 15) Wright St.
UCLA – The Bruins had the chance to lock up a bid by beating Arizona in the Pac-12 semis, and they did manage to take the Wildcats to overtime. Unfortunately UCLA was held scoreless in the extra period, which leaves some doubt about their case. A 3-7 road mark doesn’t look great, but it’s worth noting that all three of their quadrant 1 wins came away from home (at Arizona, at USC, Kentucky on a neutral floor). They have a solid RPI and a good non-conference strength of schedule, but you also can’t ignore a handful of losses to teams outside of the at-large picture. Arizona State – It’s been a precipitous fall for the Sun Devils, who were ranked in the top five in the nation after beating Xavier and Kansas. The good news is they have home wins over USC and UCLA, a road victory at Utah, and a neutral court win over Kansas State in addition to those two marquee victories. The bad news is they are just 4-6 in quadrant 2 games and have at least five losses to teams with no shot at an at-large. Oklahoma State – The Cowboys were unable to beat Kansas for a third time on Thursday, but their at-large case is still an intriguing one. They boast five quadrant 1 wins with no losses to teams outside of the Top 65 of the RPI. The main issues are a RPI in the mid-80s and a non-conference strength of schedule hovering in the 280s. And while head-to-head matchups aren’t everything, Oklahoma State was swept by fellow bubbler Baylor. Louisville – After falling to Virginia once again, the Cardinals are in a difficult spot. The good news is that they don’t have a bad loss, but they also have zero wins against the RPI top 50. The predictive metrics love Louisville, and four of their five best wins have come in road or neutral games. Baylor – The Bears own four quadrant 1 wins and have just one loss to a team not in the at-large picture. A 2-9 mark in true road games doesn’t help, but they did win beat Creighton on a neutral court back in November. The predictive metrics like the Bears as well, but losing to West Virginia on Thursday night may have been the final nail in the coffin. Marquette – After a 24-point loss to Villanova, the Golden Eagles are on the outside looking in. They have a 5-5 mark in true road games and a winning record in total road and neutral games to go with four quadrant 1 wins, but none of those have come against a team in the RPI top 25. Four more victories in quadrant 2 help their case, but a loss at DePaul is a clear blemish on their profile. Notre Dame – The Irish hung with Duke for a while but eventually lost by 18 points. As I mentioned earlier in the week, Notre Dame suffered two of its worst losses while at full strength, and they now have just two wins over at-large caliber teams with everyone healthy. Still, the injury-related aspect of their profile makes the Irish a more compelling case than their resume would suggest. If i knew you personally, I could supplement my income without ever having to work an additional job. I have a question. I was reading something that said the regions that play each other in the final four is not fixed right now. If true, what is it based on? The number one seeds from the same conference won’t meet? Just curious. No to Oklahoma. Don’t care what the metrics say. They’re a one-trick pony which ran out of oats back in January. New Albany won. Romeo had 27 or 28 points. Moved him into third place in the all time scoring list. 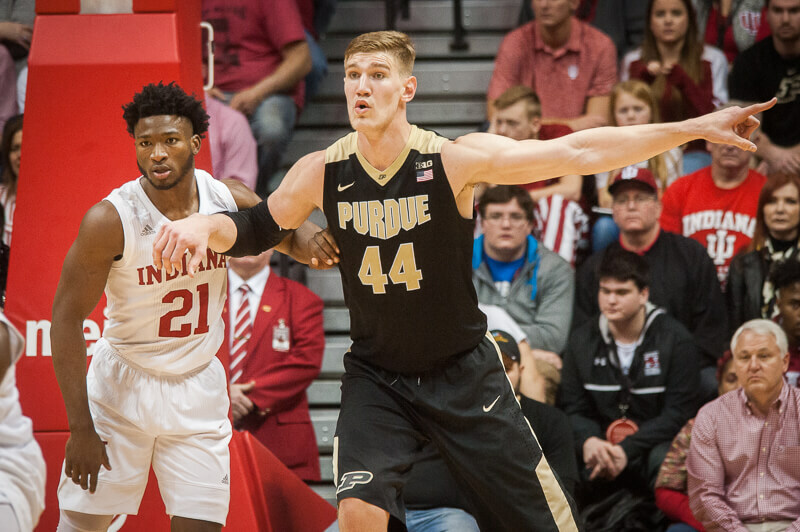 Since it’s obvious IU is out, Big Ten tournament played last week (stupid), everyone is frustrated and tired of the NCAA selection, time for a change and what better topic than the Indiana high school regionals. If anyone has updates please let us know. Thanks to all. I found a website to watch Riley. Thanks Koko and I will let you know the score by quarter if I can. But bball, remember all the “experts” are saying the Big Ten is down. Wrong!!! Not that I can prove this but my bet is that since 1986 ,the Big Ten has the highest winning % in the top two of all conferences in the NCAA tournament. SB Riley won!!! Next vs Elkhart Memorial. Any other updates from today’s regionals? No I watched on IHSAAtv.org on my computer. The championship game with Center Groove will be on tonight 8:00pm. For some reason they aren’t showing the SB Riley games. It is free. I’m in Florida so this is perfect for an Indiana bball junky like myself. No I watched on my computer. If you google ihsaatv you can find it. I gave you the website in another post but for some reason it is waiting to be approved. New Albany plays Center Grove tonight at 8:00 pm. Unfortunately it is not showing the SB Riley games. South bend won and so did New Albany. Miller and Phinisee were at the Center Grove vs New Albany game. Your take on the semi state??? Looks like SB Riley is going to win their Regional. Update,,,Riley wins! Thanks IU cal! Is the Indy regional posted yet? Lafayette? Thanks for that steel!!! I really appreciate your feedback. Have a great weekend. Wow what a great semi state. Sorry I missed…..my bad….totally forget? Anyway you probably know all the scores by now. Steel, thanks for that. It was fun going back and forth with the info. The tournament bracket looks incredible with 4 really good teams. Thanks again.